By working as one integrated team across practice groups and geographies, lawyers in our Credit & Leveraged Finance practice devise novel business solutions to meet the diverse needs of corporate borrowers, private equity sponsors, private credit providers and other market participants. Our practice is highly active across a wide array of industries: industrials, telecoms, natural resources, pharmaceuticals and biotechnology, real estate and beyond. 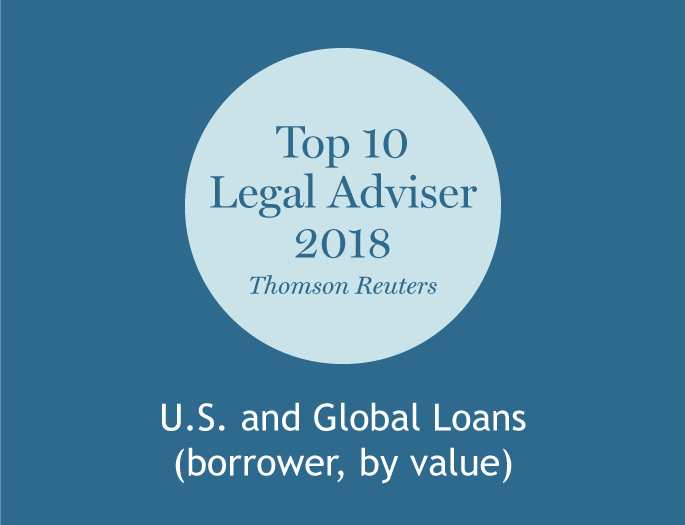 Each of our leveraged finance lawyers are capable of working on the full spectrum of debt products, including acquisition financings, bridge loans, term loans A and B, first lien and second lien term loans, revolving credit facilities, senior secured ABL, mezzanine financings, subordinated notes and high-yield bond offerings. We believe this ability to work across products allows us to see issues across the capital structure and be more efficient in negotiating and executing financing transactions. Given the breadth of experience of the partners in our practice, S&C is able to provide comprehensive advice on the entire life-cycle of credit transactions. Our clients benefit from our practice's one-team approach combined with the deepest experience.